﻿ What is "Fashion Forward" for your face? What is “Fashion Forward” for your face? Runways shows, top designers, the latest trends, fabulous events….NYC fashion week is finally here! I would like to take this time to talk about what looks “fashionable” for your face so you can be runway ready! 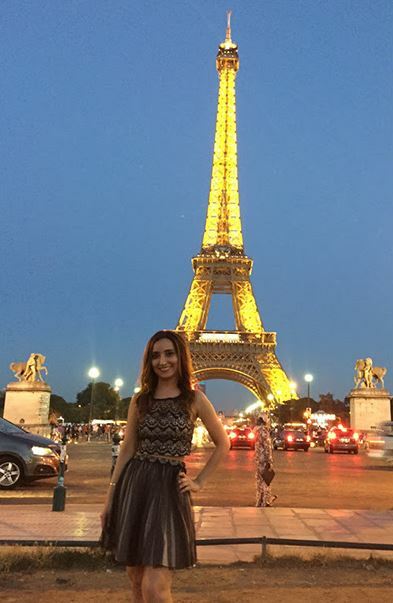 I just visited Paris, a top center of fashion on my way to Croatia and was inspired to write this blog while I was there (follow me on Instagram and see highlights of my trip and beauty tips while in Europe). I kept thinking that both fashion and beauty go hand in hand. What is the point of having a beautifully tailored outfit that suits your body and not taking care of your face in a similar manner? 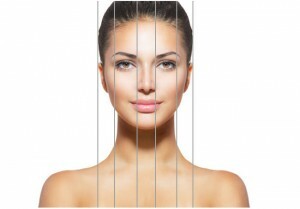 The “rule of thirds” basically divides your face into three equal horizontal parts from hairline to middle of eyebrows, eyebrows to tip of nose, tip of nose to tip of chin. Ideally, each of these of these sections should be equal to achieve aesthetic balance. For example you may be considering a rhinoplasty to create a “smaller” nose when in fact all you may need is a little chin enhancement. Or you may have a “weak” or “small” chin, and may benefit from dermal filler enhancement of the chin as long it is in proportion with the other parts of the face to prevent it from appearing too “elongated”. The face can be divided into five vertical parts with each part being roughly equal to the width of one eye. For example, many of us fancy high contoured cheeks as that of the runway models, but cheek enhancement needs to be done in a way that does not widen your face especially if you have a “petite” face to begin with. The same holds true for lips. 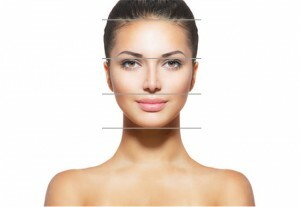 The degree of lip enhancement is based on your baseline lip structure and proportion to your face. As much as we all love voluminous lips, you don’t want your lips to be the first thing that walks in the door. Please note that above are just “ideal” guidelines and not hard fast rules as facial symmetry is rarely perfect. I have not met one patient as of yet who is perfectly “symmetrical”. I also take into consideration ethnic variations when determining facial proportions and symmetry. As many of my patients know, I truly believe facial aesthetics is an art and much of what I do for my patients is very individual. Our individuality is what makes us special and I believe in maintaining this, and helping you look like the best version of YOU! I am happy to offer my clients a complimentary consultation to discuss what procedures is suitable for your “face type” so you can be “fashion forward” with all aspects of your appearance!